Graveside service for (Mary) Juanita Preston Griffin, age 93, of Carrollton,TX, formerly of Sulphur Springs, will be held at 11:00 A.M. on Saturday, December 9, 2017 at Sherley Cemetery with Buddy Wiggins officiating. 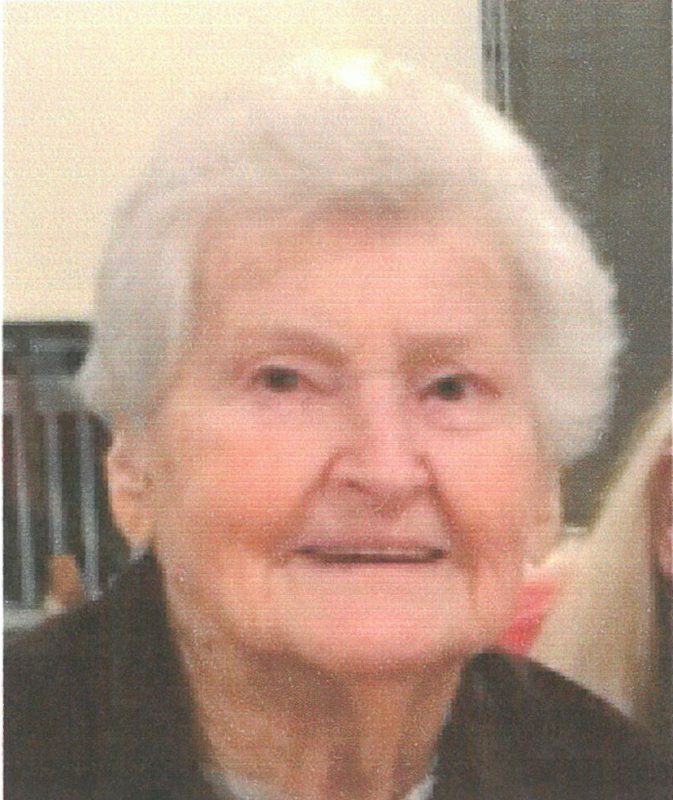 Visitation will be held from 9:30 to 10:45 A.M. on Saturday, December 9, 2017 at Murray-Orwosky Funeral Home. Ms. Griffin passed away December 5, 2017. (Mary) Juanita Griffin was born on April 13, 1924 to Robert and Maud Preston. She married Roby Griffin on January 5, 1946 in Greenville, Texas. He preceded her in death on March 7, 1995. She was a homemaker. A member of Church of Christ and The Big Sisters community group in Sherley, Texas. Survivors include her son, Larry Griffin and wife, Gloria of Addison, Texas; sister, Martha Collins; grandchildren, Patty Bouma and husband, Dirk, Nicole Parks and husband, Joe, Terry Ault and wife, Susan; great grandchildren, Christopher Ault, Lauren Ault, Kendall Parks, Reimer Bouma and Koert Bouma. She was preceded in death by her parents; two sisters, Murriel Renshaw and Jinnie Maude Bishop, and four brothers, Raymond Preston, Johnie Lee Preston, Ray Preston and Robert “Robbie” Preston.